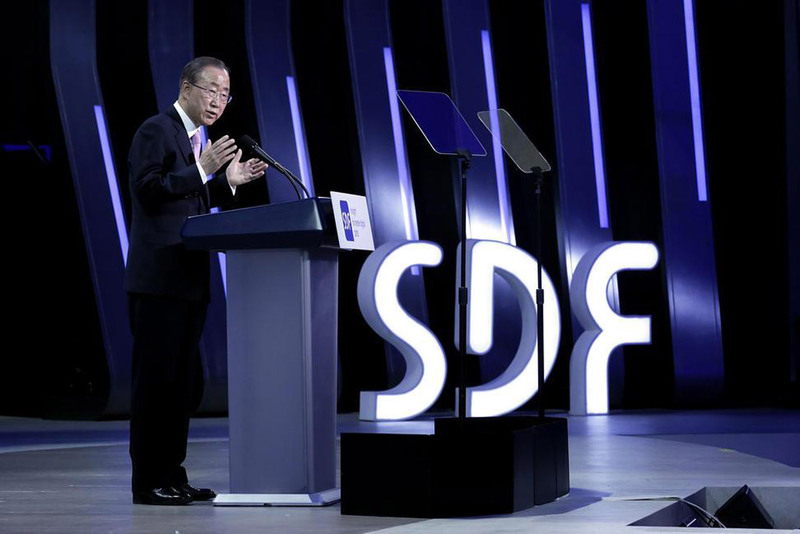 During his official visit to Republic of Korea, United Nations Secretary-General Ban Ki-moon at two forums on May 20 highlighted the importance of youth, education and information communication technologies (ICTs) in shaping the future sustainable development agenda. “Data is the new oil. Data centres are the factories of the 21st century. Data is the lifeblood of decision-making. It provides the raw material for accountability,” Mr. Ban said in his remarks at the Seoul Digital Forum. “Our food agency uses mobile phones to help farmers set prices. Our relief operations communicate emergency information over online networks. And our messages go directly to the global public over Twitter and Facebook,” he explained. Earlier that morning, Mr. Ban announced that he had been informed the Democratic People’s Republic of Korea (DPRK) had reversed its decision regarding his visit to Kaesong Industrial Complex, which is on the border between DPRK and the Republic of Korea. No explanation was given for this last-minute change. “This decision by Pyongyang is deeply regrettable. However, I, as Secretary-General of the United Nations, will not spare any efforts to encourage the DPRK to work with the international community for peace and stability on the Korean peninsula and beyond,” Mr. Ban said. Globally, six out of every seven people on earth have a mobile phone. There are three billion Internet users – and that number is increasing fast. In Africa, mobile broad-band penetration jumped from 2 percent in 2010 to 20 percent last year. “But there is still a wide digital divide. Connectivity tends to be better in cities than the countryside. And more men have access to the Internet than women,” the UN chief said. For every 10 per cent increase in broadband penetration in the developing world, gross domestic product (GDP) goes up by almost two percent on average. Advanced technologies are accelerating progress – but there are also emerging threats. Bullies hide behind screen names and troll innocent victims. Extremist groups are using social networks to spread their hateful ideologies. Entire governments and industries are vulnerable to attacks by hackers, Mr. Ban said. Two years ago, some 600 million people were victims of cybercrimes. Experts estimate these crimes will cost the global economy about $400 billion every year. Mr. Ban called for social networks that work for social inclusion and unity – around a common, global vision for a future of dignity and peace for all people. “Inspired by this vision, let us harness the power of ICTs to create a new era of sustainable development,” he emphasized. Also today, the Secretary-General, in remarks at the opening of Academic Impact Forum, that this is a very powerful era for youth. 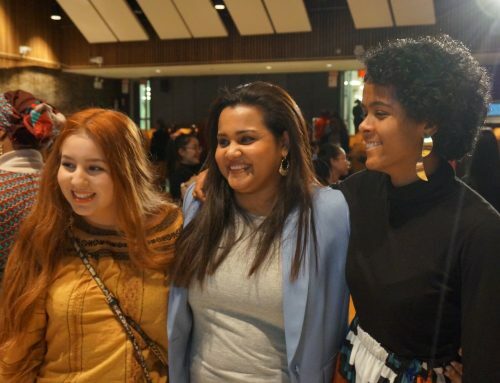 “When I look at youth, I don’t see peril – I see potential. I see hope,” Mr. Ban said, calling on young people to raise their voices for peace. “I ask them often why you don’t challenge your leaders, your professors, your congressmen and CEOs. Make this world sustainable. This is the world I will have to leave. Make this situation sustainable. And I am insisting that governments start to listen to the world’s youth – including giving them a place at the negotiating table,” he said. What the terrorists fear most is not a weapon – what they fear most is girls and young people with textbooks. “They tried to kill Malala and her friends – just because they were girls who wanted to go to school… Violent extremists kidnapped more than 200 girls in Chibok, Nigeria from their school. Scores of students were murdered in Garissa, Kenya and in Peshawar, Pakistan,” he added. As the world prepares to adopt a bold new vision for sustainable development, Mr. Ban warned against there being too much emphasis on transferring knowledge without wisdom. Young people should challenge injustice. They should speak out for what they know is right. “When you navigate down that difficult road and find your own way, you can open up a better future for all people,” he said.